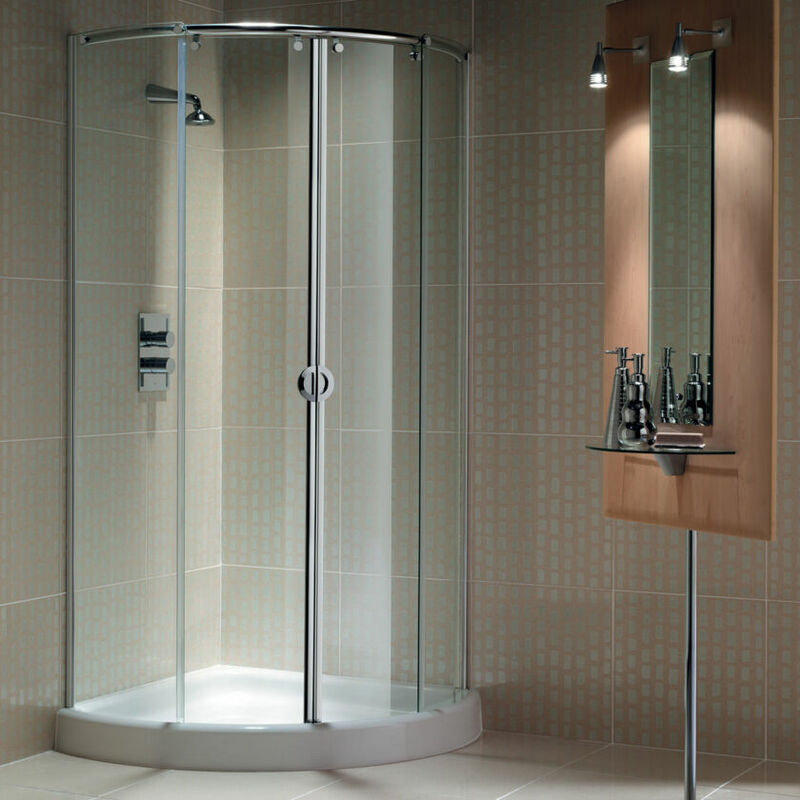 Contemporary curved Walk-In, supplied uniquely with the Matki Elixir concealed thermostatic Shower Mixer with diverter, Hand Shower and overhead Deluge. 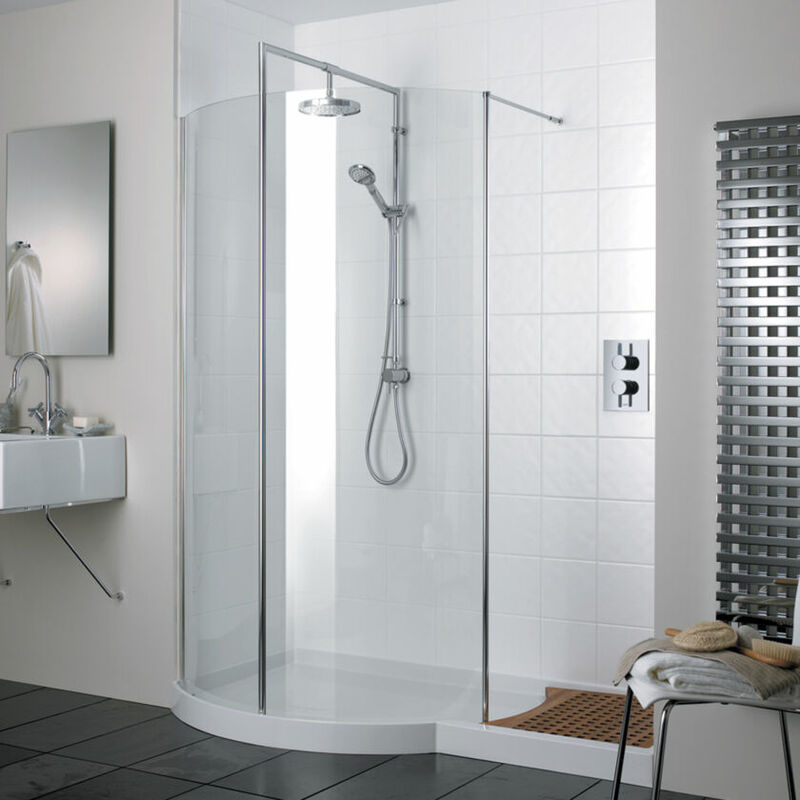 Walk-In design will contain most of the shower spray during normal use, some spray may extend beyond the entrance. Matki recommend tiling the adjacent area, Deluge head will perform best at 0.5 bar.